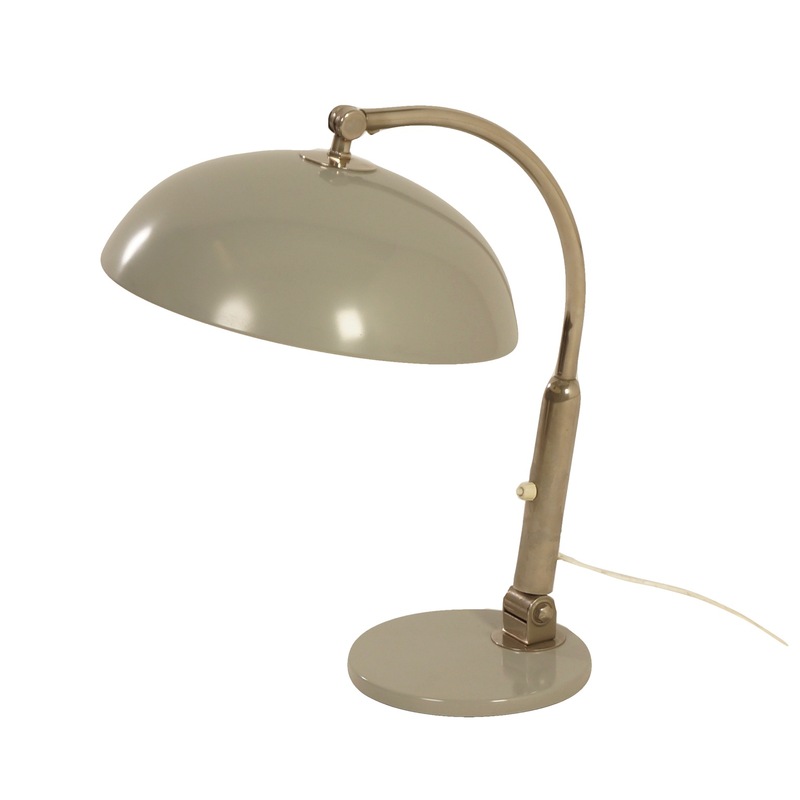 Grey Hala 144 Desk Light designed by H. Busquet in the 1930’s. This item was made in the 1960s. The arm and the shade are adjustable because of the two hinge points.